Thank you for all of your hard work with the reading journals, there are some fantastic examples of how your reading is developing. Well done! After listening to suggestions from families and the children, 15 reading challenges will be given to you to be completed by February half term. Each reading challenge should take around 15-20 minutes to complete. We would like you to complete at least 2 reading challenges per week, alongside reading your 5x a week class reading book, this ensures that your child is reading every day for the recommended 20 minutes. 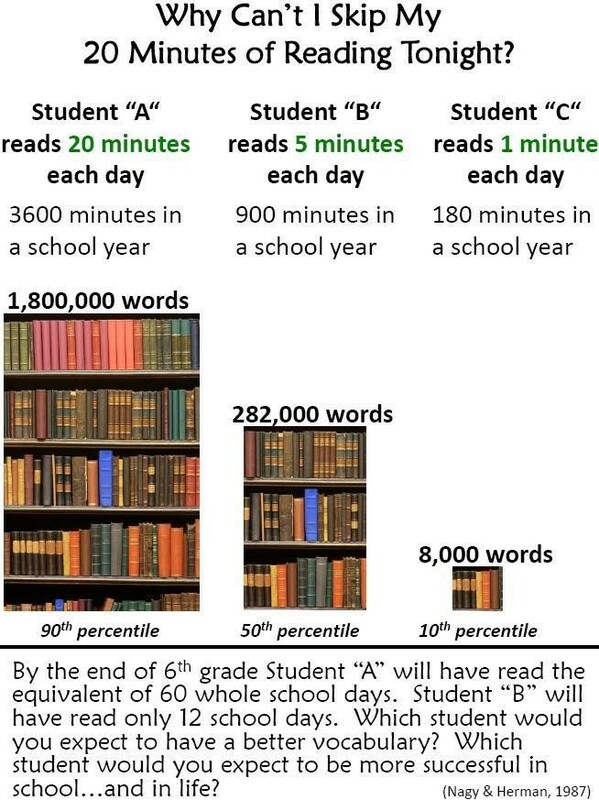 Please read the facts below as to why it is important that your child reads every day for 20 minutes.